The National Institute for Occupational Safety and Health (NIOSH) announced in the June 21, 2017, Federal Register, that it is reopening the comment period on the draft Current Intelligence Bulletin entitled The Occupational Exposure Banding Process: Guidance for the Evaluation of Chemical Hazards. NIOSH will accept public comments until July 21, 2017. Identify comments as CDC-2017-0028 and Docket Number NIOSH-290 at the Federal eRulemaking Portal. NIOSH first announced the availability of the draft document on March 15, 2017. The Institute is seeking input from individuals, including scientists and representatives from government agencies, industry, labor, other stakeholders, and the public on the approach NIOSH should take regarding chemical banding. Occupational exposure banding is a process of quickly assigning chemicals into specific categories or bands. These bands are assigned based on a chemical's potency and the negative health outcomes associated with exposure to the chemical. The output of this process is an occupational exposure band, which corresponds to a range of exposure concentrations that is expected to be protective to worker health. 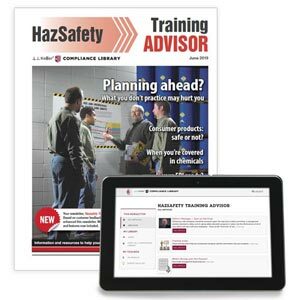 J. J. Keller's HazSafety Training Advisor helps employees understand regs and best practices related to Hazmat, HazCom, HazWaste, and HAZWOPER.